Headphones are a necessity in any work environment because you can’t simply work without them. Most people use it to focus on whatever they’re working on, and obviously it’s also a communication tool when meeting and talking to someone online. That being said, I was fortunate enough to work on an environment where a headphone audio leak is a big issue (just like in many corporate environments) and therefore the idea of writing this one came up to me. First and foremost, if a headphone is leaking audio then it’s naturally going to get attention even more so than a loudspeaker since the latter producing loud sound is just normal. And while most people don’t mind hearing it, there are some people who do and feel it’s something that’s distracting and has to be addressed. Sensitive to noise or not, leaking sound from your headphones is normal but it can be lessened, if not avoided completely. AKG K550 is a good closed-back headphone. This is the most obvious suggestion to give. Headphones are either closed-back or open-back and they have their own purpose. Open headphones are the best sounding headphones due to less resonance however they don’t isolate outside noise and they leak A LOT of audio. Simply looking at the earcups easily reveals if a headphone is open or not. Closed headphones are the opposite and this is what your company must be providing you, in case you don’t mind using crappy headphones. Do also avoid using earbuds (e.g Apple’s earbuds) as they don’t seal to the ears at all, making half of the sound audible to the next person. If wearing a big headphone bothers you, consider an in-ear monitor instead. In-ear monitors might be a bit uncomfortable but there’s no way it would leak out audio. In our top headphones list, we have the closed over-ears and closed on-ears to choose from as well the in-ears. Make sure to have a look at them. Even if you have a closed (or ‘sealed’ as I prefer to call it) headphone, if it’s not positioned correctly to your ears, then it might still leak sound. This is the case especially for on-ear headphones since they rest on top of your ears which makes leaking possible. That being said, it would be crucial to seal your headphones perfectly not just so you don’t leak audio but also to get the best sound possible out of your cans. This may not be obvious but a lot of people in offices play music at a relatively high volume level. I personally don’t have a problem with it but the louder the volume, the bigger the chance the sound would leak out regardless of the headphone type. That’s just logical. 4. Mute or turn off the sound when not wearing it. This might be extreme for some but since the subject here is about preventing headphone audio leaks for your sensitive officemates, then including this one is imperative. A lot of people don’t realize this but when you’re not wearing a headphone (i.e. it’s placed on your desk, etc. ), it would easily leak out your music. So what I normally do is simply pause my music player or hit the mute button whenever I take the headphone off. If your headphone can fold flat easily, then doing this is a good alternative as well. 5. Ask the other person to wear headphones himself. A sound-leaking headphone is nothing for most people but for some it’s considered a noise and we all know noise makes people lose focus which in turn makes them unproductive. And unproductive people drag companies down. Whenever you feel sensitive for those people and want to cater and help them (and their sensitive ears) more, then doing the five things above would definitely help. If they still complain, I don’t know. 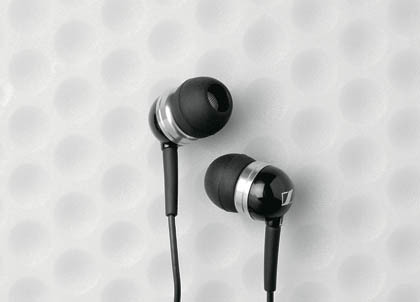 Do you have other tips that would prevent audio leak from headphones? Feel free to share them in the comments!